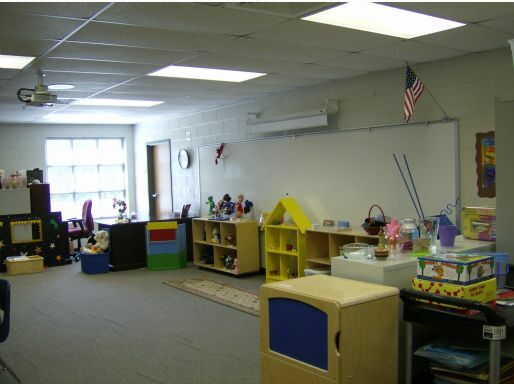 Below is a photo of a school counselor's play therapy room. This play therapy room is huge because it is an actual classroom. It feels a little too big to do play counseling (modified play therapy) in. While the large room can hold a lot of toys, the students tend to get lost amongst the toys in the play therapy room. A kitchen is ideal to have in a play therapy room. So many encounters happen in the kitchen within a family. The perfect amount of play therapy puppets in a play therapist or school counselor's office. Notice they are neatly hung up on the shelf using puppet holders. Teddy Bear Therapy in Play Therapy Basket! So cute, warm and fuzzy for sad times. Sand tray therapy miniatures neatly arranged for the play therapy client to use. This is a great way to keep your sand tray therapy miniatures organized, yet accessable to the play therapy client.